Earlier this month, we learned of the passing of one of the most unloved cars of our time, the Aston Martin Cygnet. It failed miserably and now will become the subject of a Used Car Face Off in 2035. But the Toyota/Scion iQ could be close behind, if you listen to the Aston boss anyway. Autocar spoke to Aston Martin CEO Ulrich Bez who said there was no motive to continue the Cygnet because Toyota isn't going to continue with the iQ, never mind that the Cygnet sold in hundreds rather than the thousands Aston Martin wanted when it was launched. 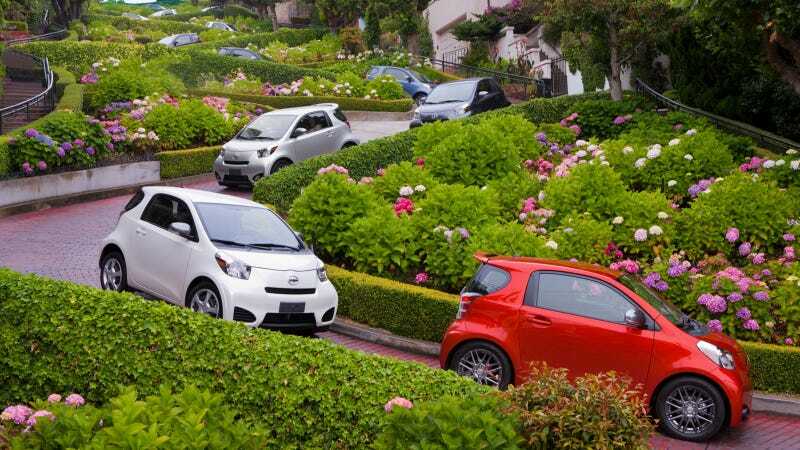 At least in the U.S., the Scion iQ hasn't attracted a large following, despite being pitched as the ultimate city car with its clever-in-theory 3+1 seating arrangement. Sales are off by half this year to about 3,400 cars through September and last year they didn't even move 9,000 of them. Its closest competitor, Smart, has shifted almost 7,000 cars this year. Not spectacular, but clearly more. Toyota hasn't made any announcements regarding the iQ's future and they say it's part of the current model plan. But any developments weren't mentioned in a recent Edmunds article that revealed an FR-S sedan might happen, despite the fact the iQ has been on sale globally since 2008. Face it, the design is starting to get old and it's not in line for updates – what do you think is going to happen to it? As for that Cygnet? Well Bez wanted a lot of things to de-Toyotafy it, like a supercharger and U.S. sales. At least the former might have proved to be an interesting ride. And if you want an iQ, you might want to get moving soon. It was an interesting package while it lasted.